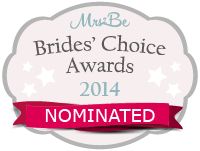 After a very exciting few weeks with the Irish Restaurant Awards votes & Mrs2Be Awards 2014 nominations being released. Staff are on an all-time high and understandable. Katie Byrne has vast experience across many industries. Katie started in Killashee House Hotel over two years ago. Having worked previously in The Naas Court Hotel, Armada Hotel, Bank of Ireland, The County Council & the Red Carpet Events. Katie spent her time in Bank of Ireland working as a Credit Controller gaining invaluable experience & left this position to follow her passion in New York City. In New York Katie started in a company called The Red Carpet Events & this is where Katie’s attention to detail & organization allowed her to excel at every task she was set. We at Killashee are delighted to now have Katie working in our Wedding Department. She is an asset to the team! We here think she deserves the title Best Wedding Venue Co-Ordinator whether she wins the vote or not! Vote now for Killashee House Hotel!